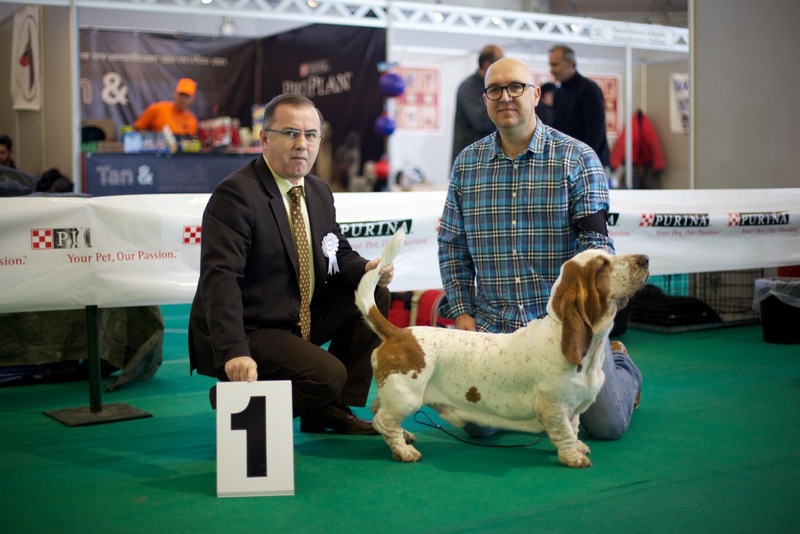 Judge for the ring and BOG : Goran Bodegard form Sweden. 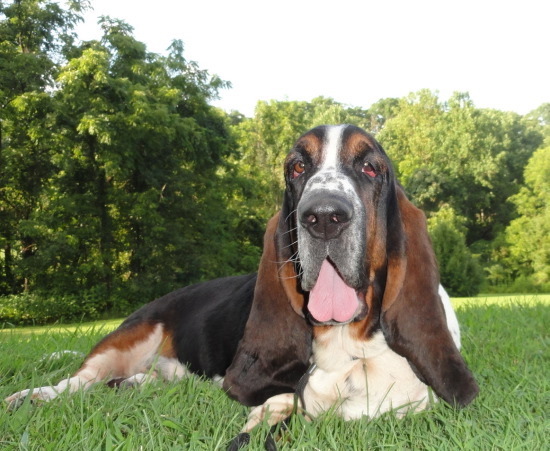 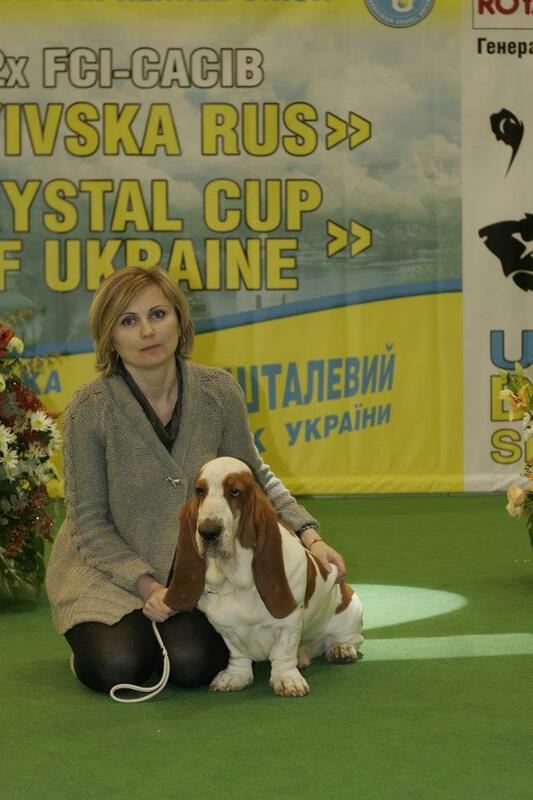 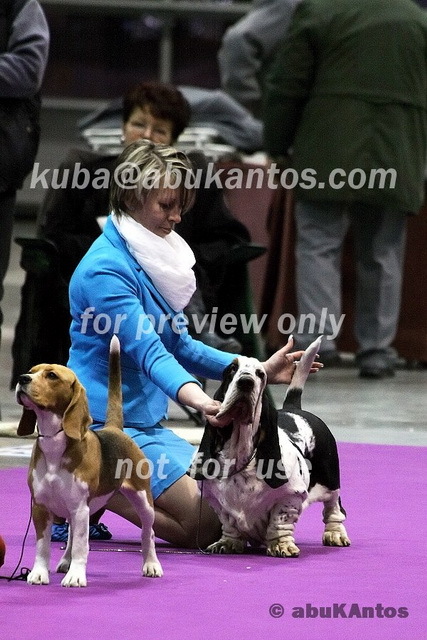 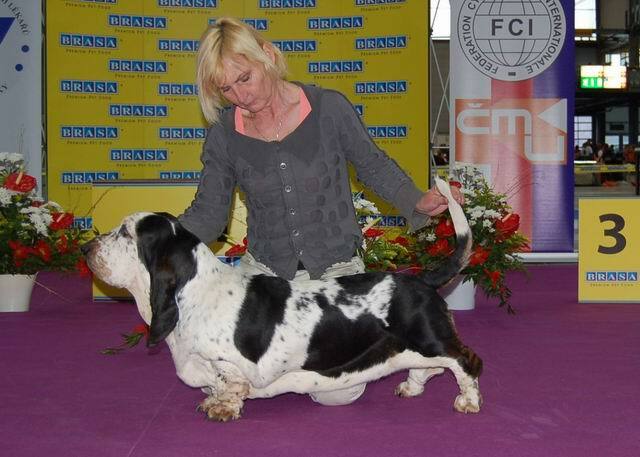 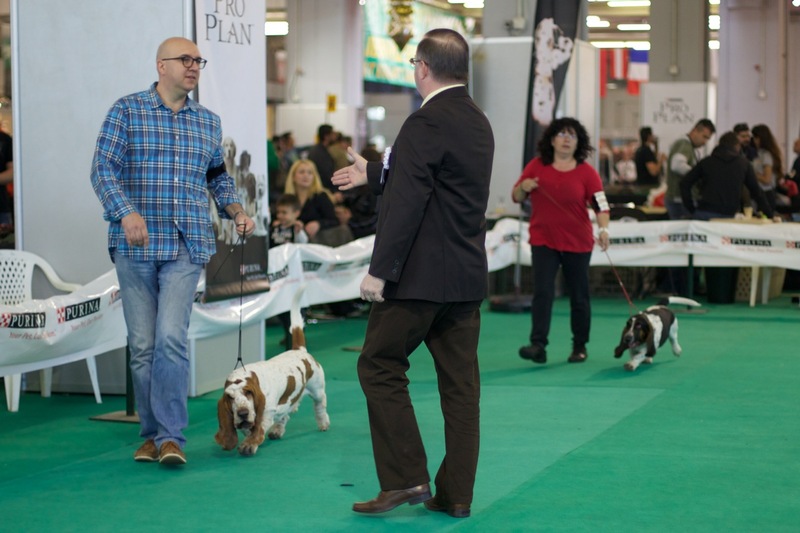 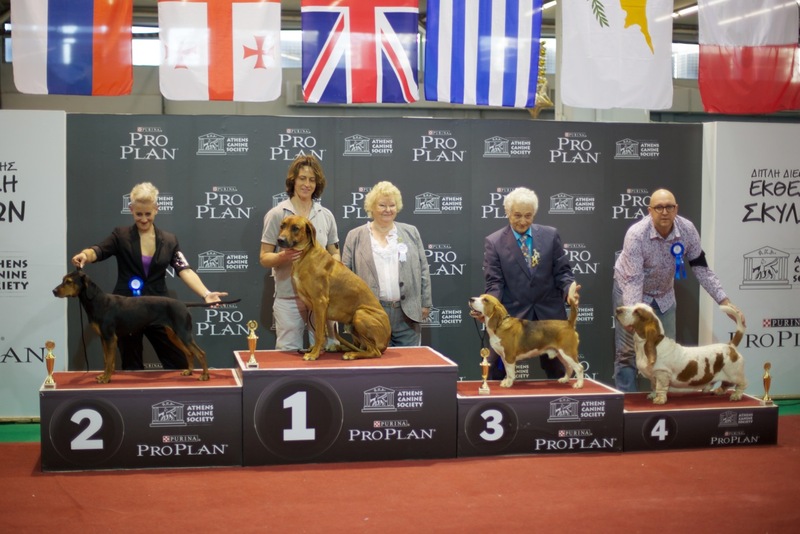 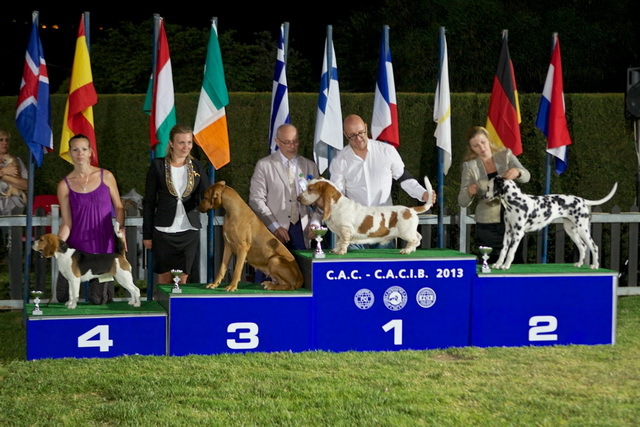 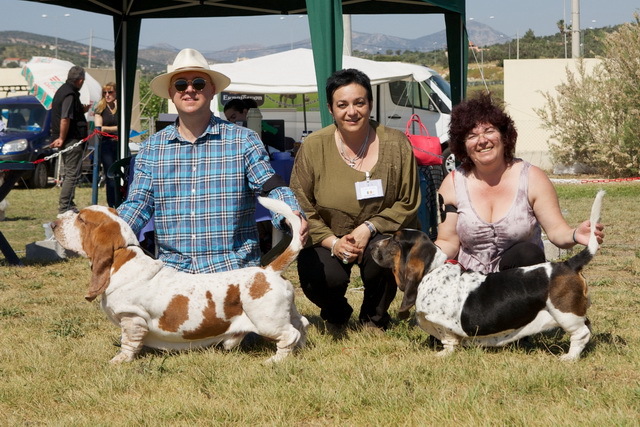 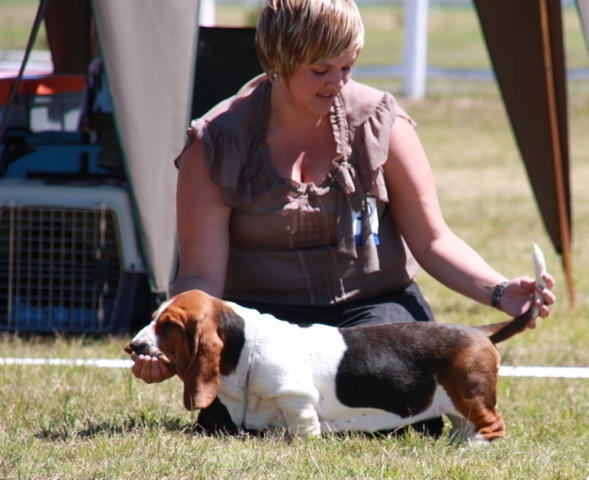 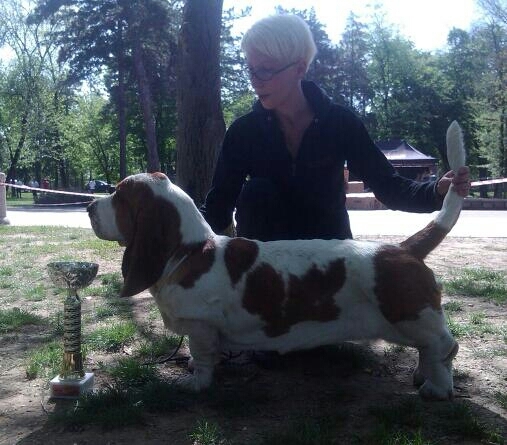 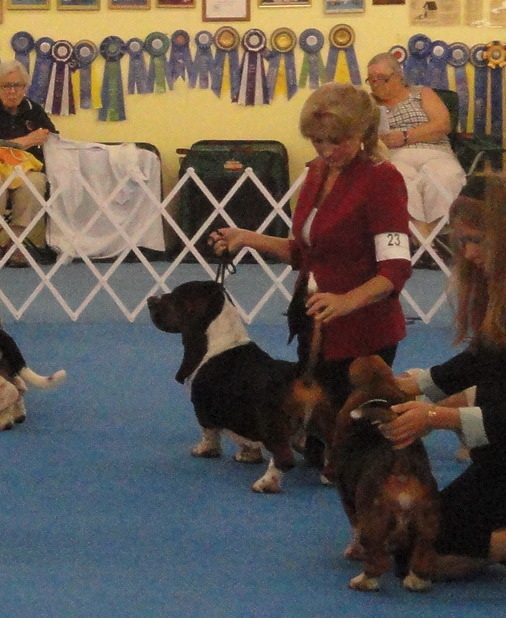 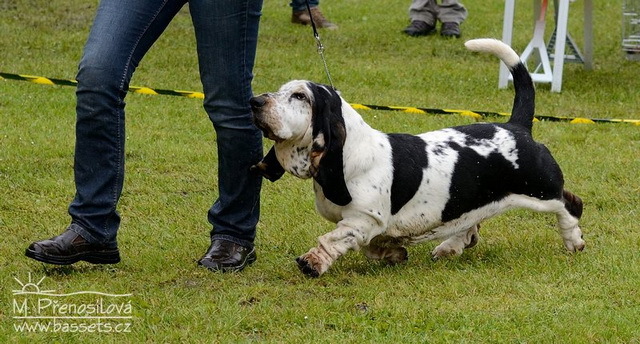 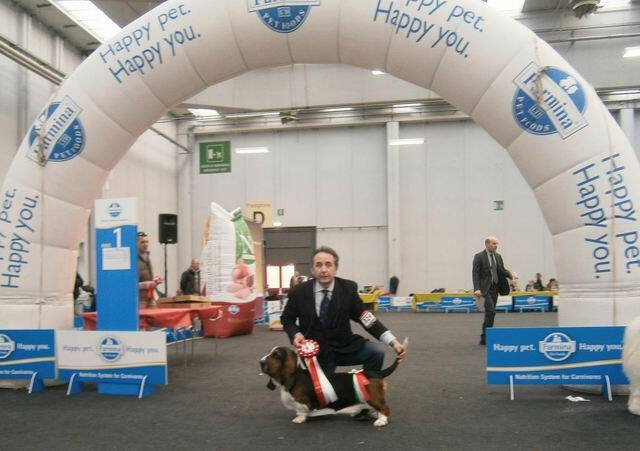 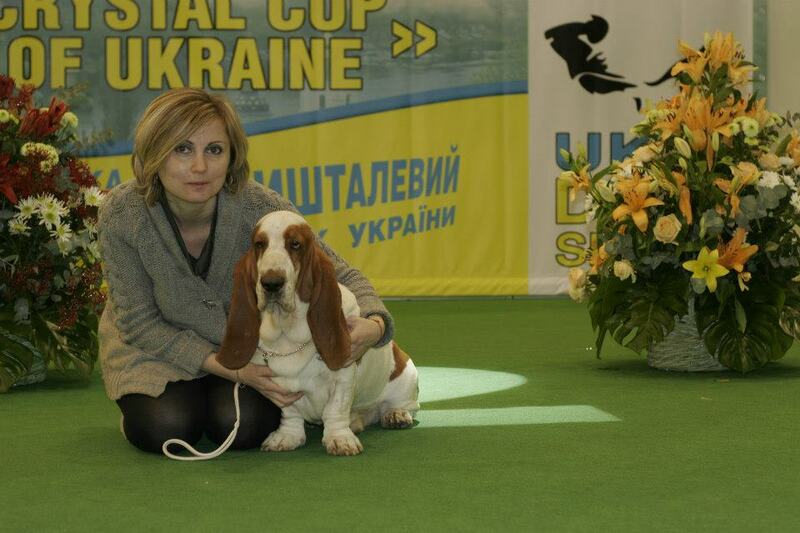 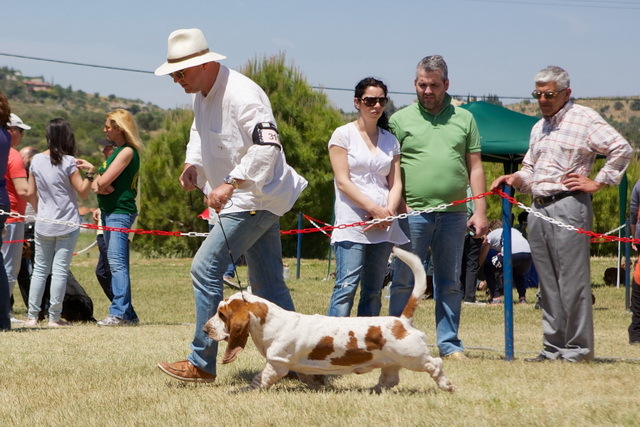 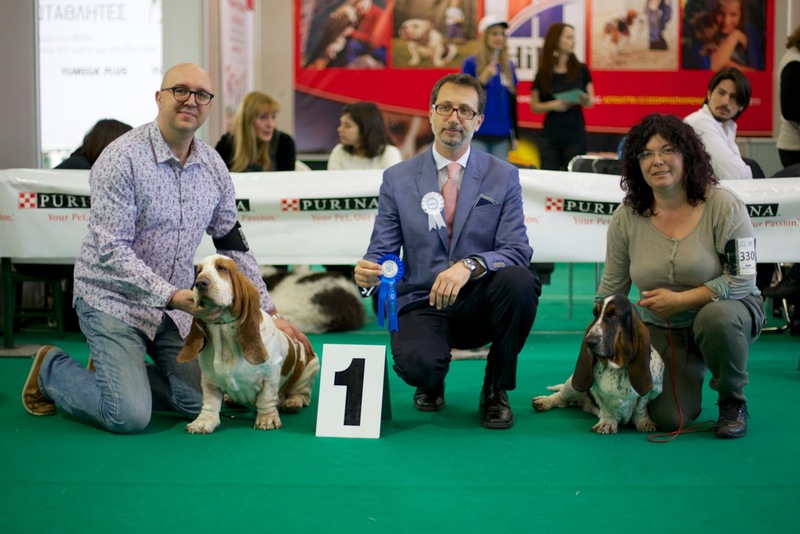 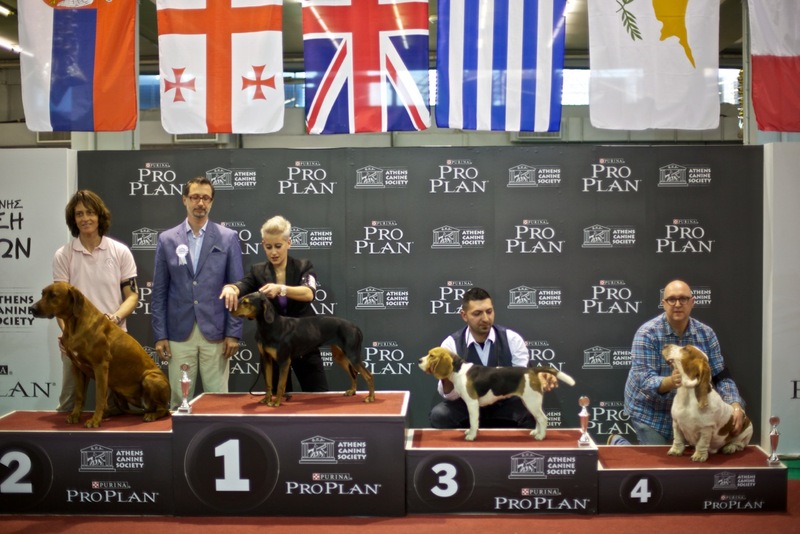 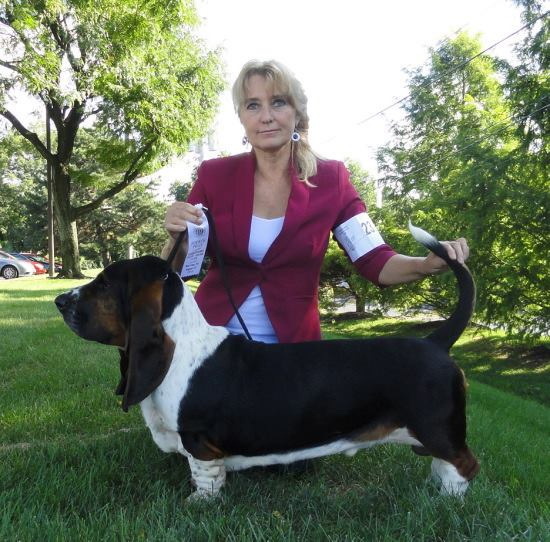 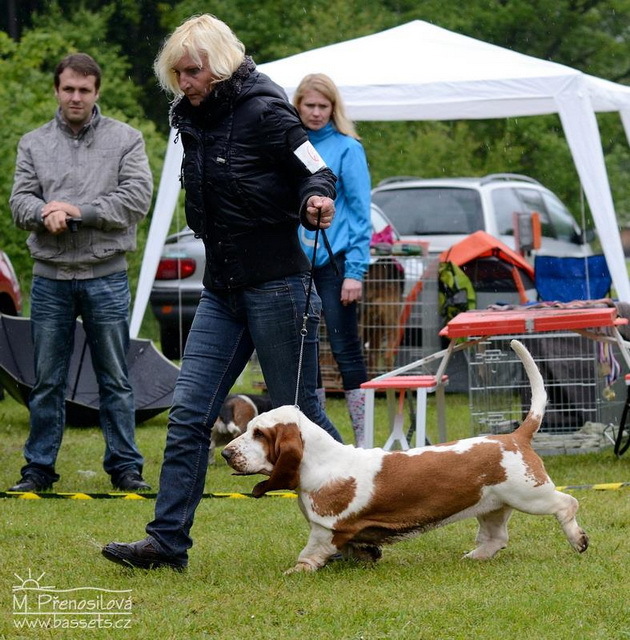 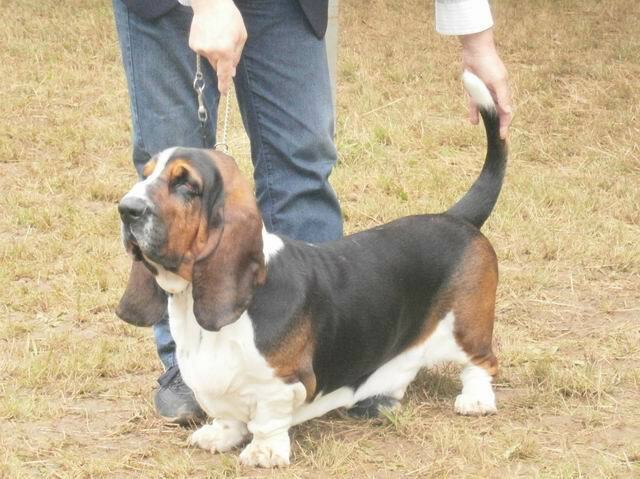 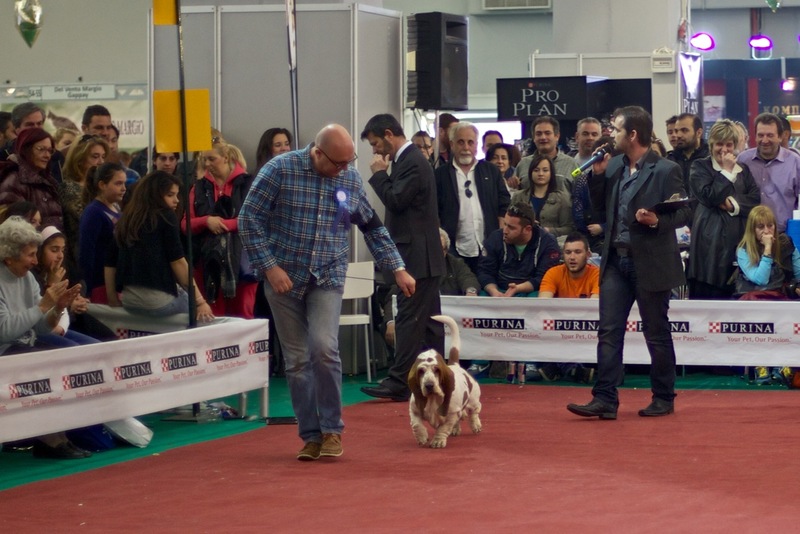 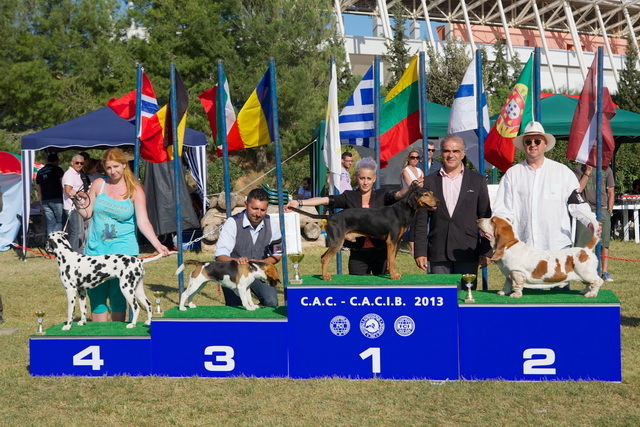 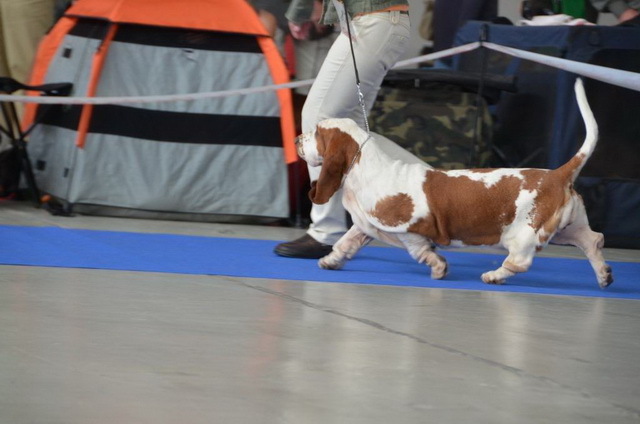 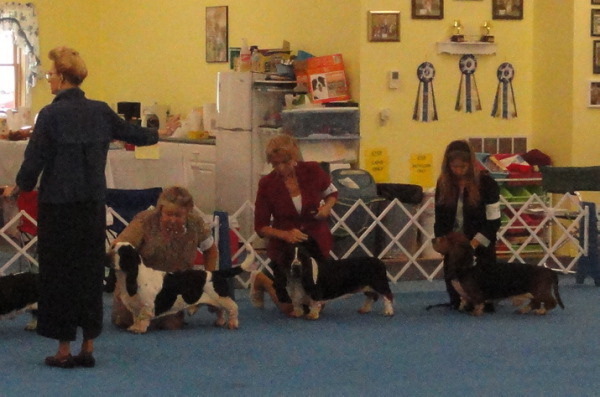 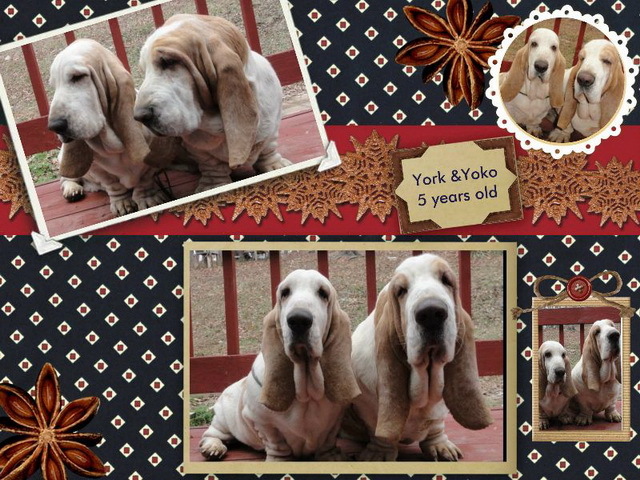 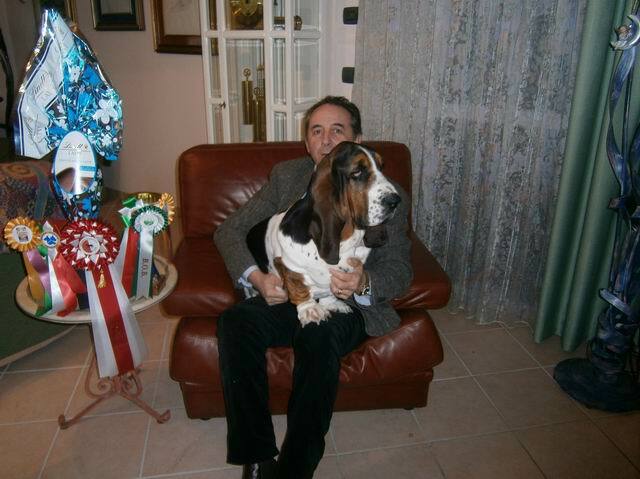 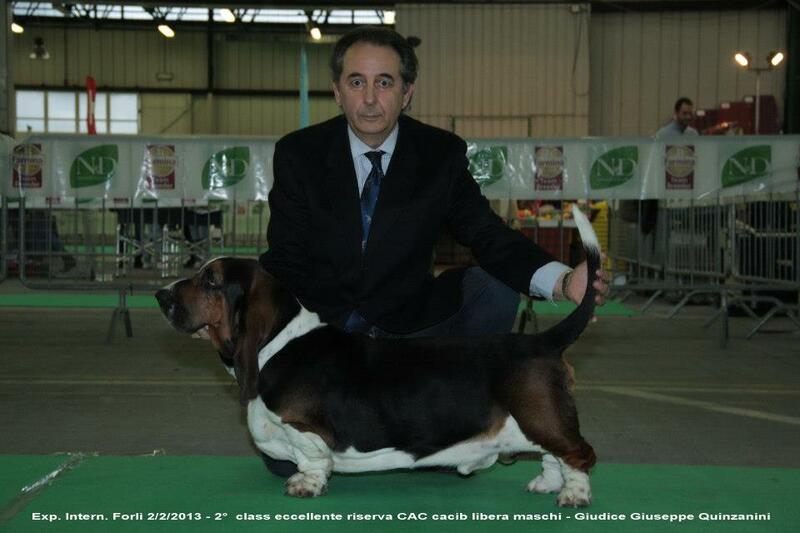 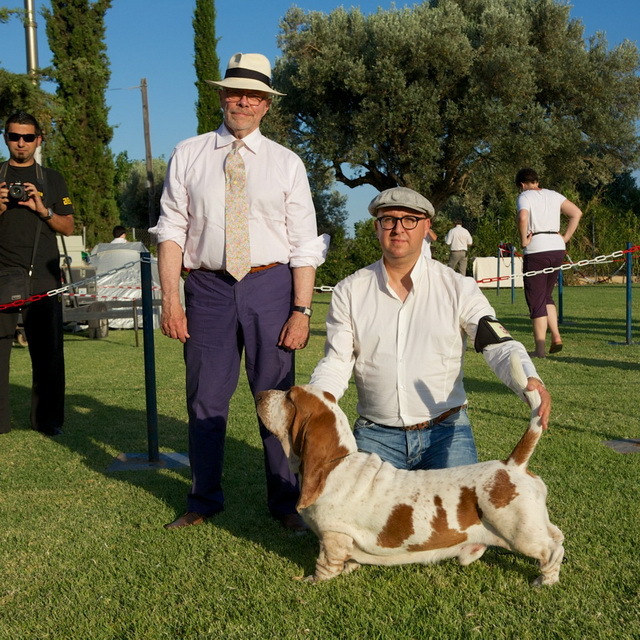 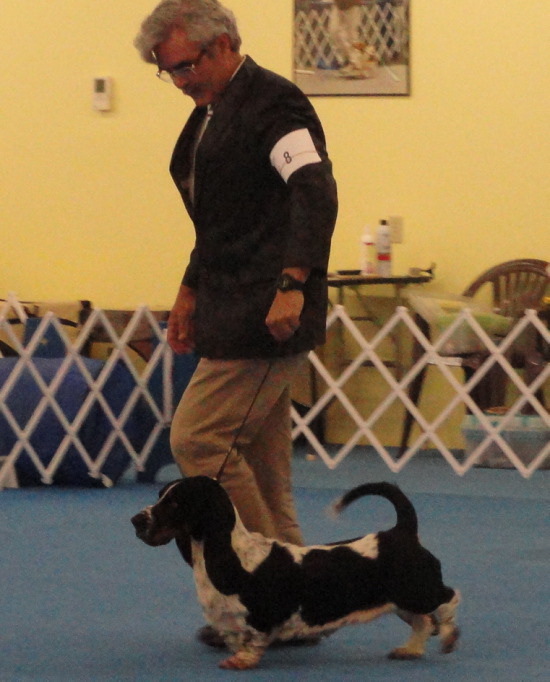 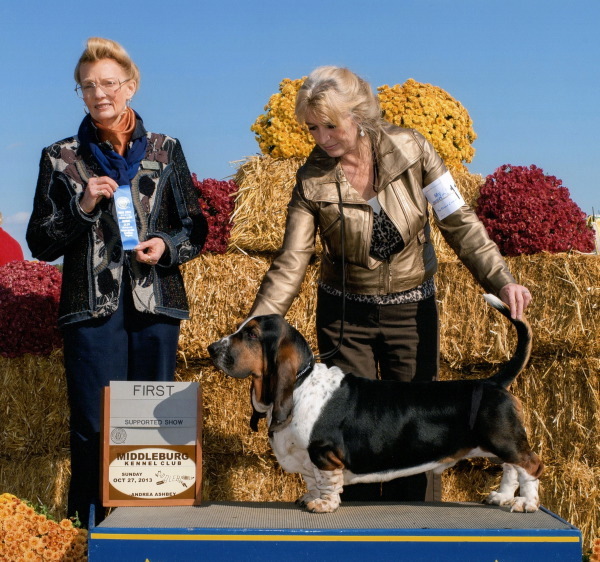 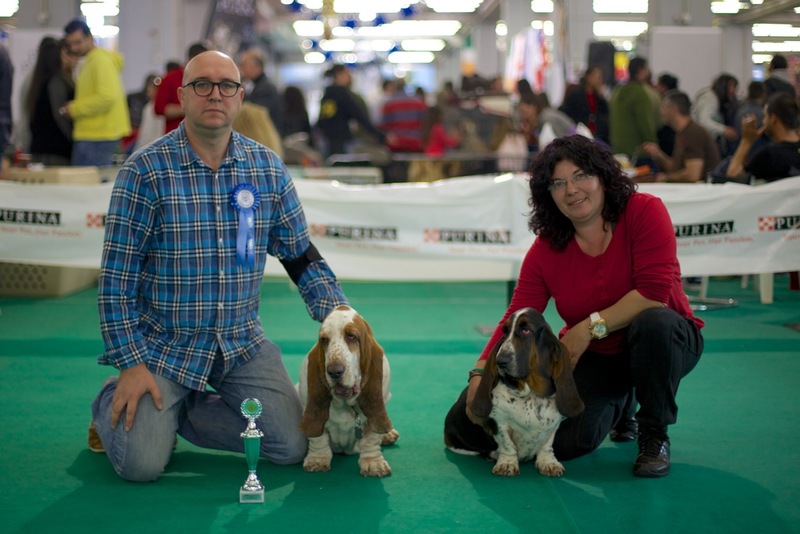 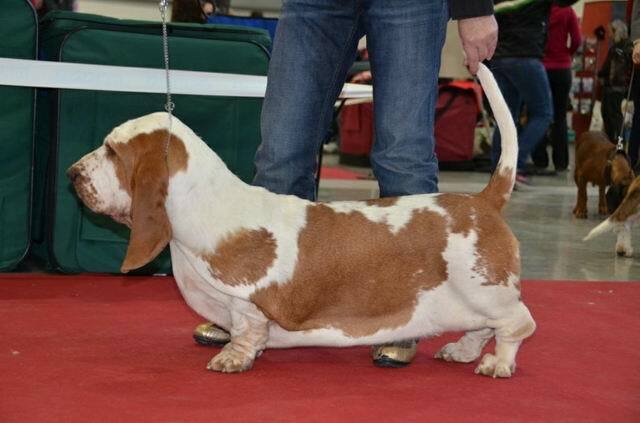 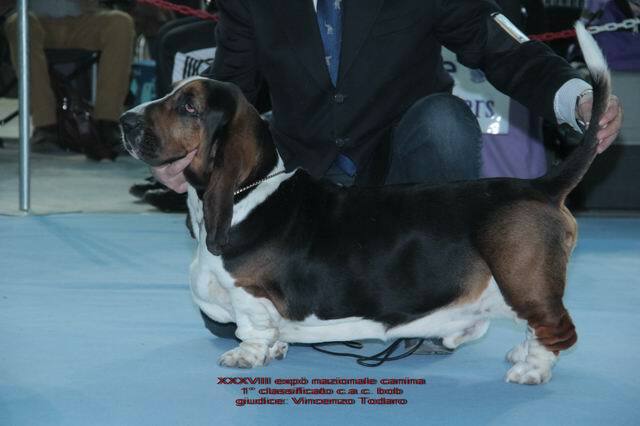 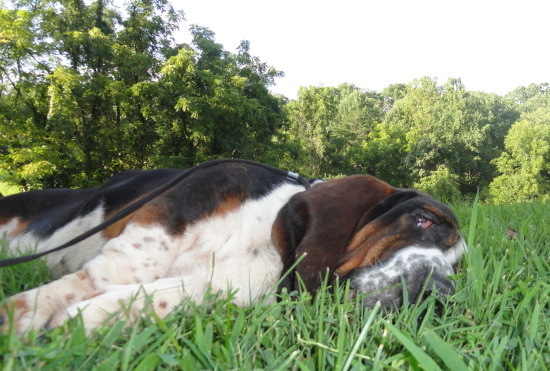 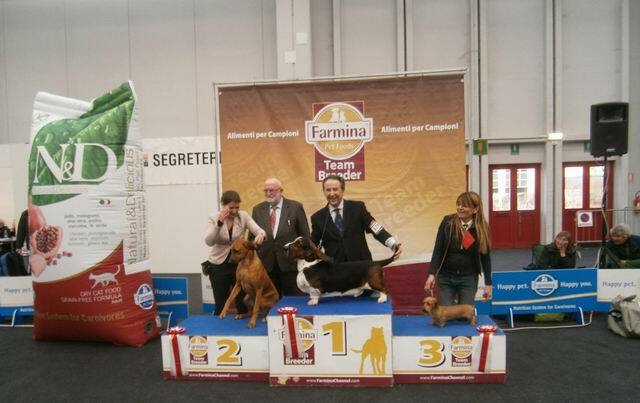 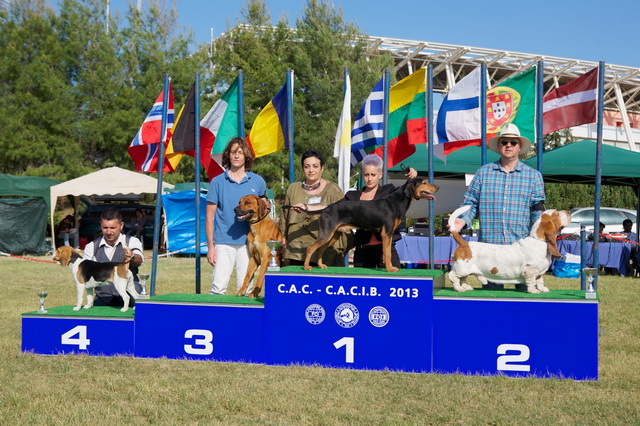 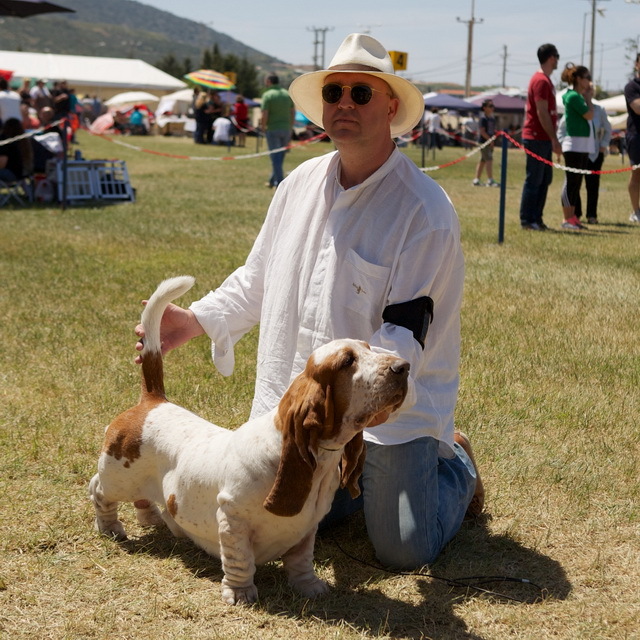 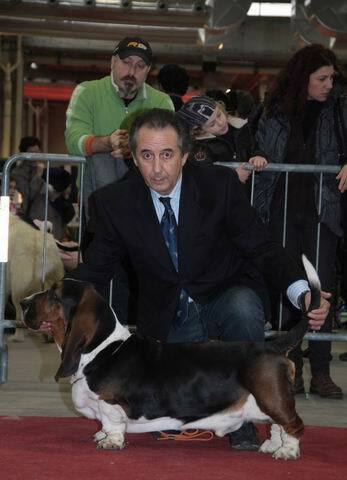 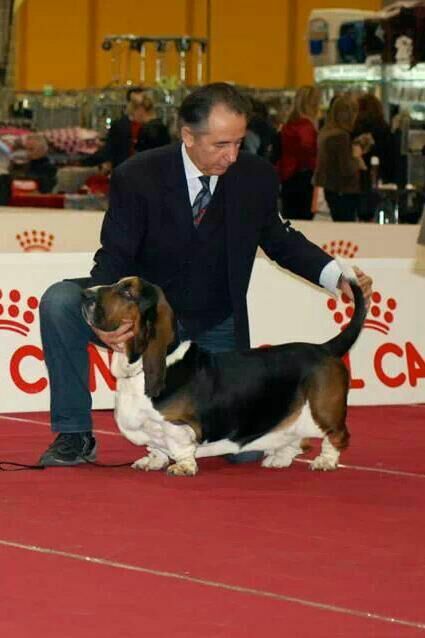 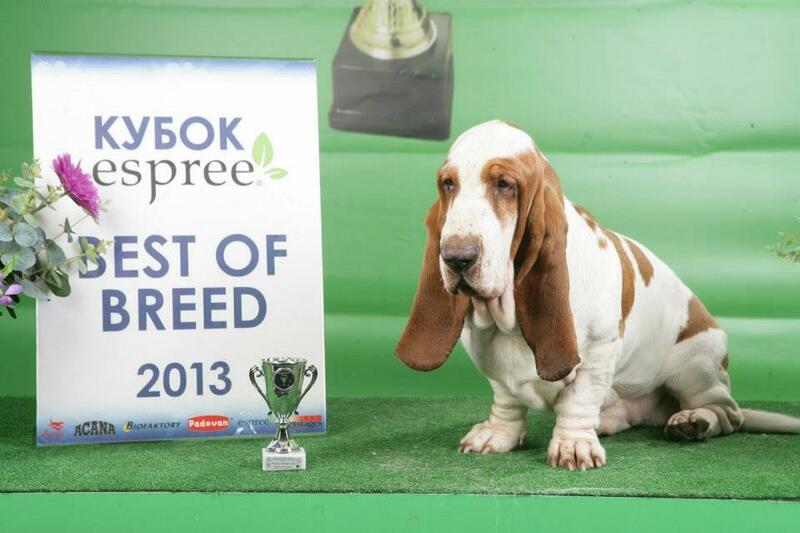 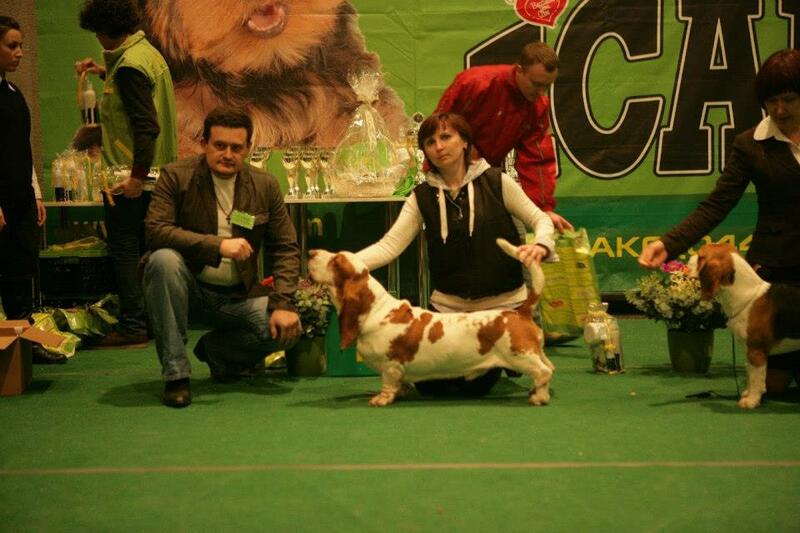 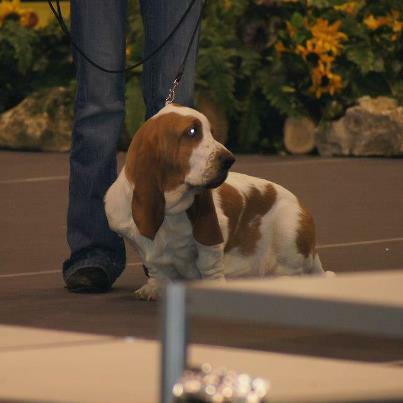 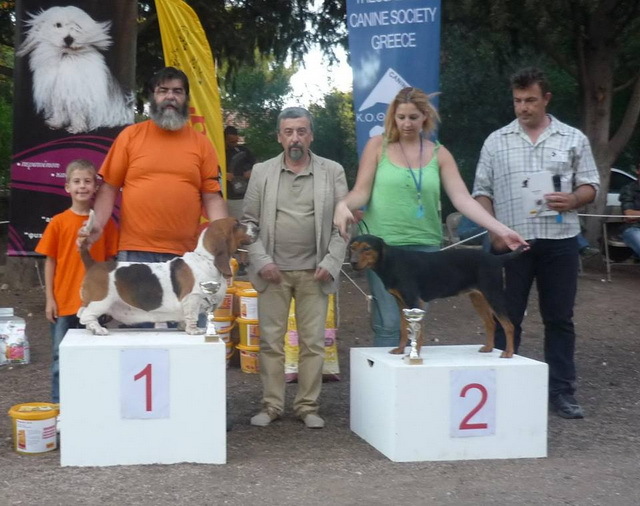 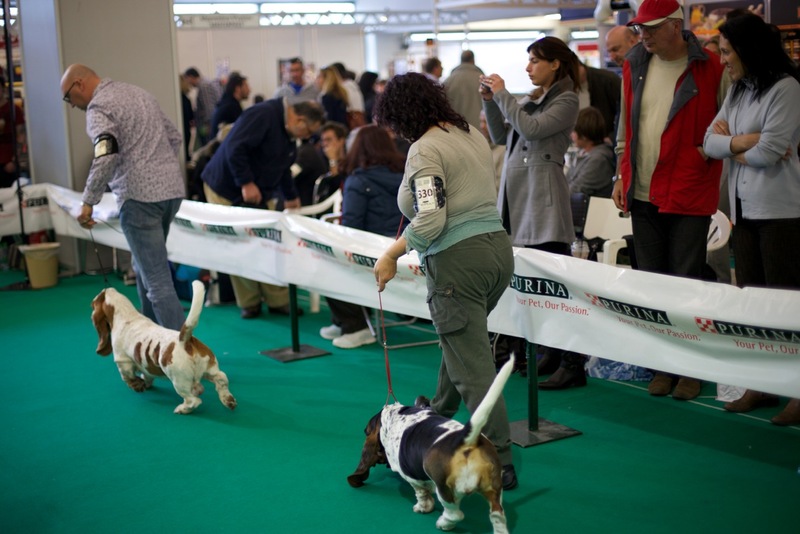 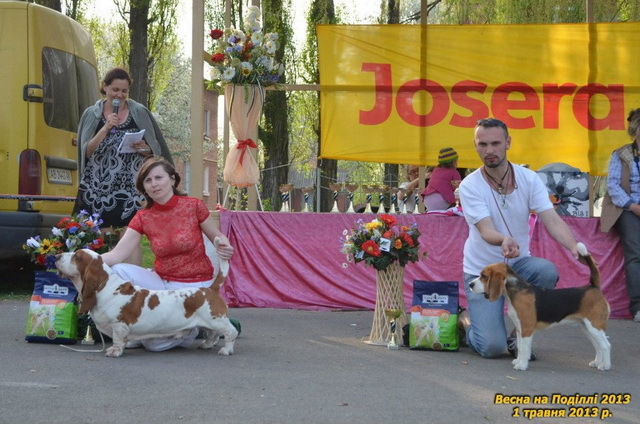 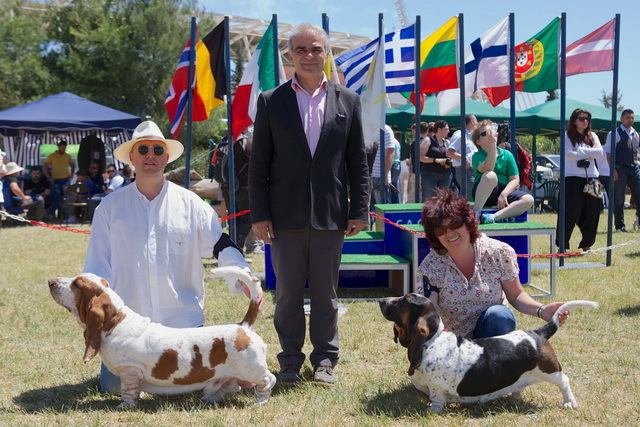 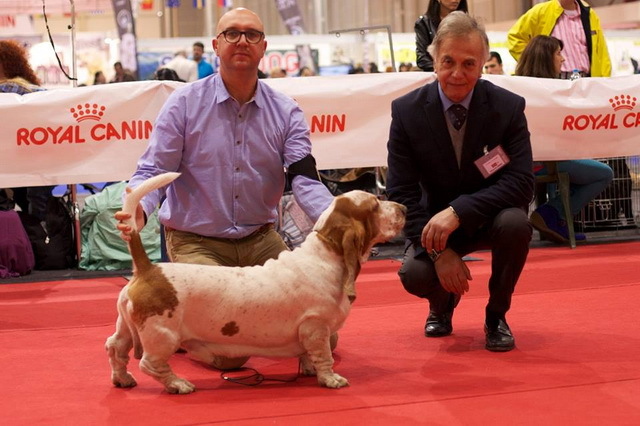 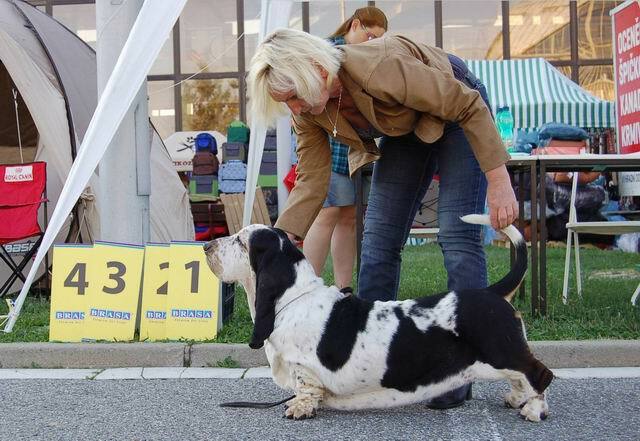 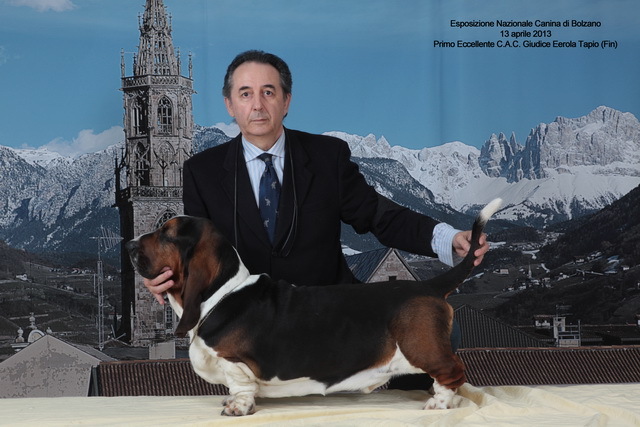 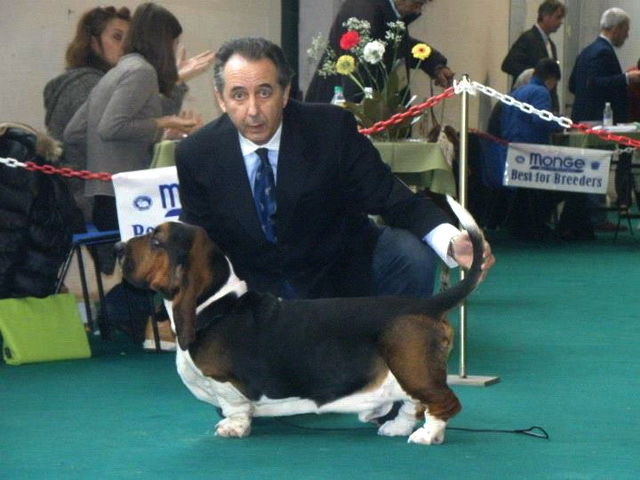 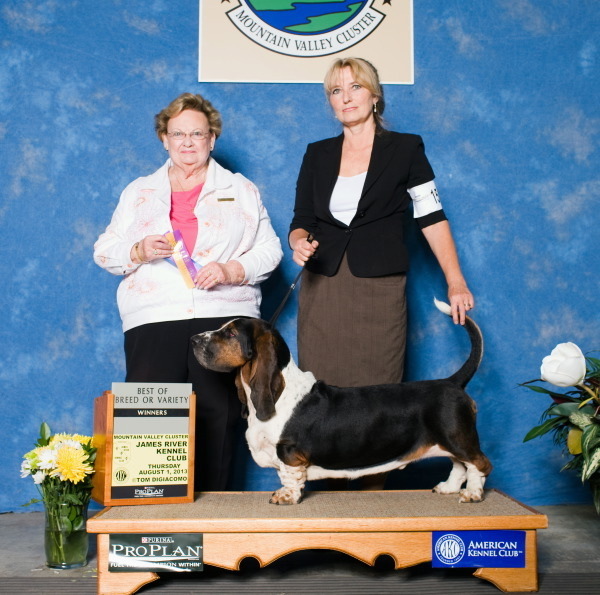 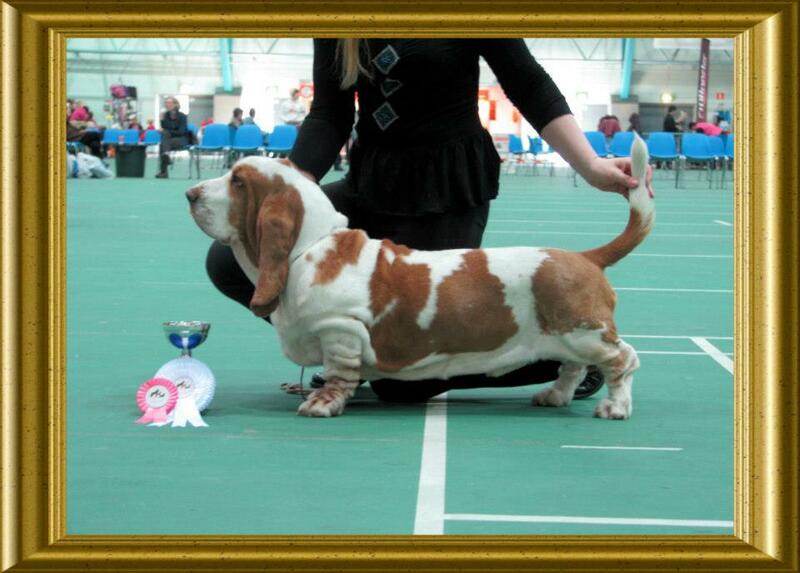 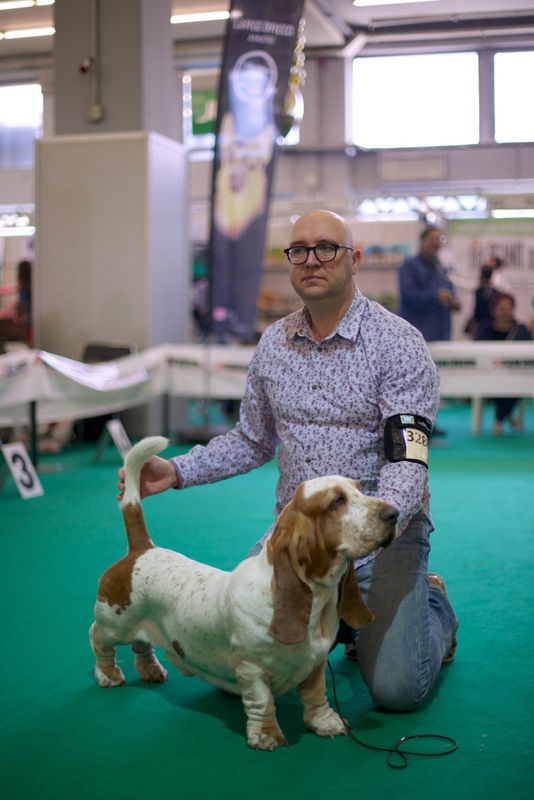 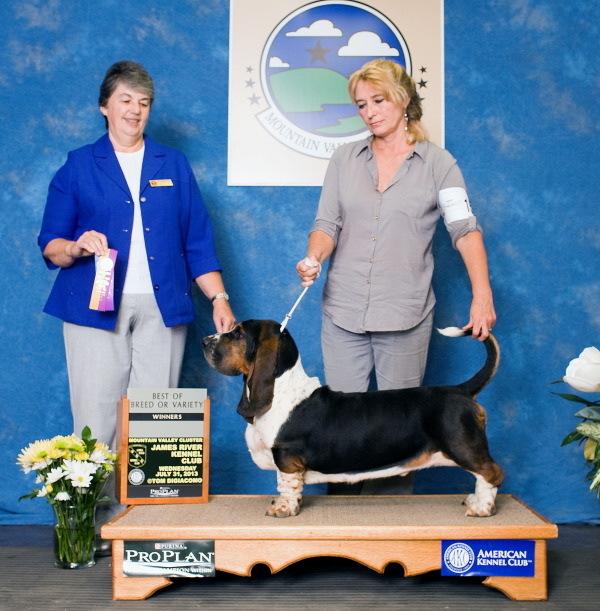 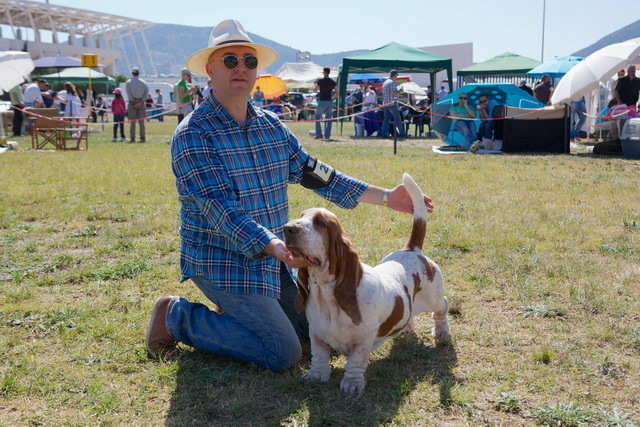 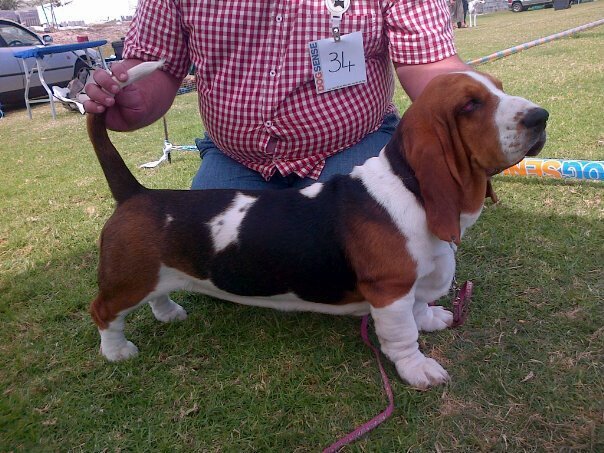 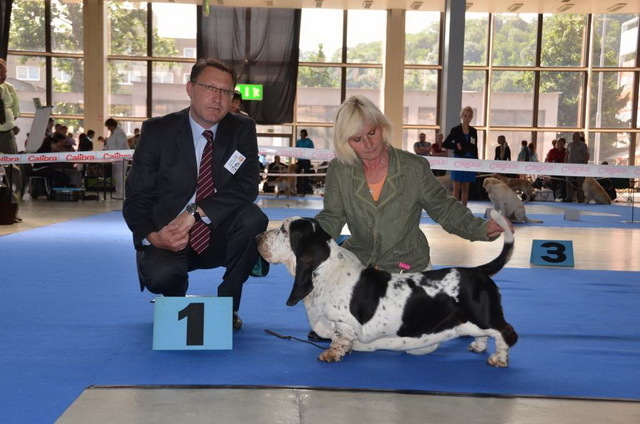 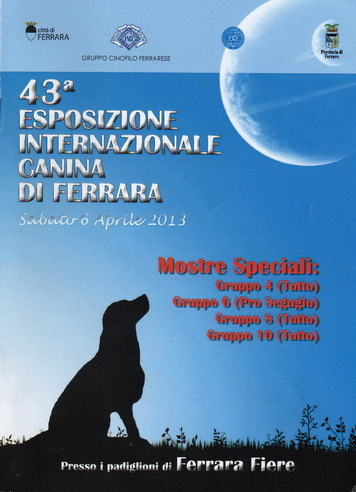 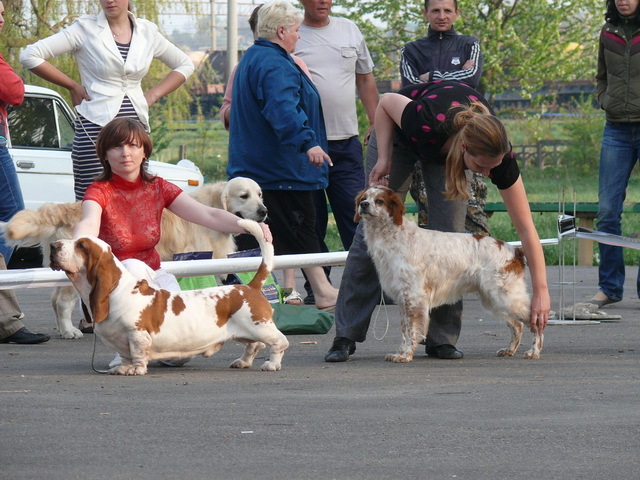 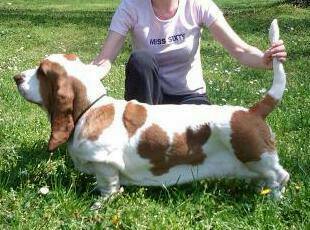 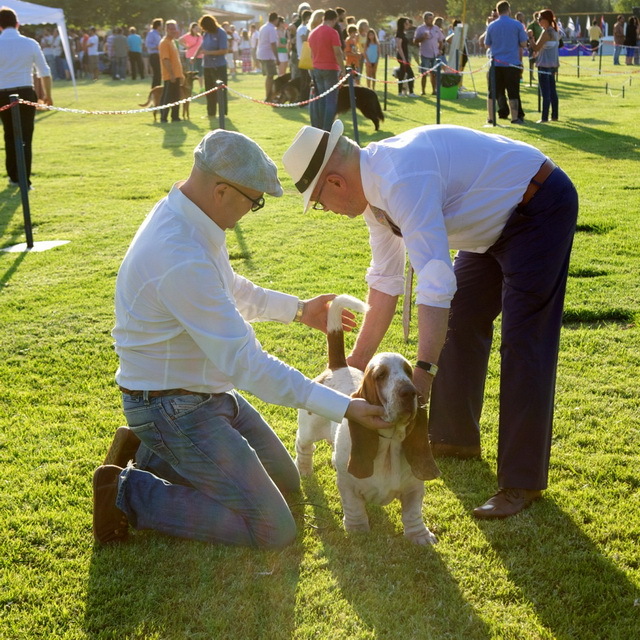 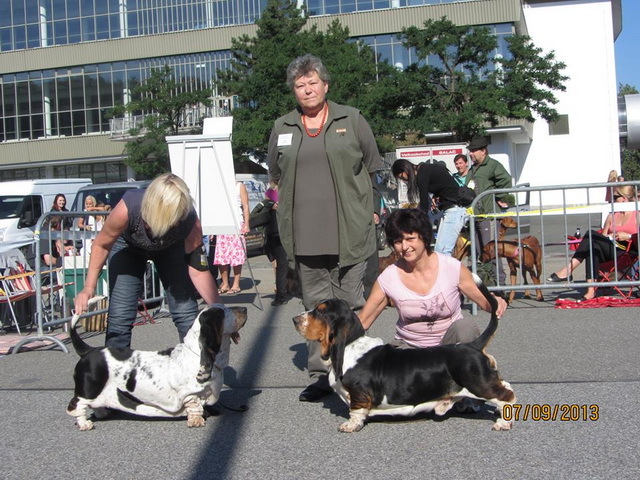 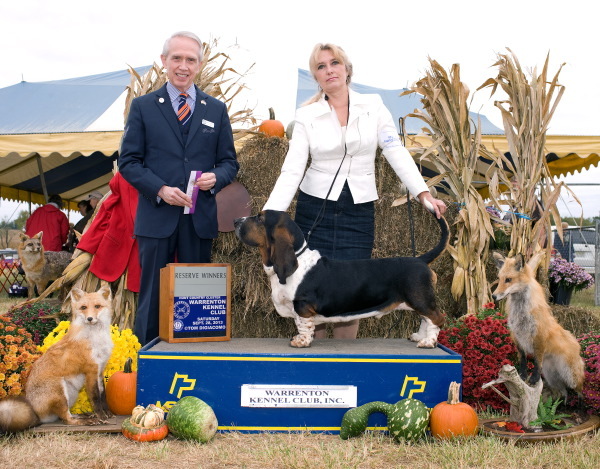 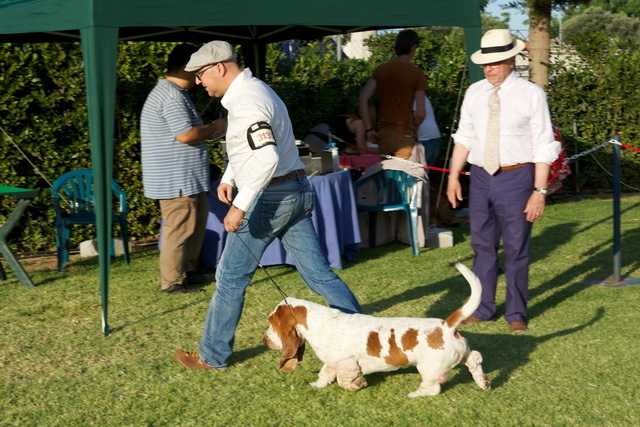 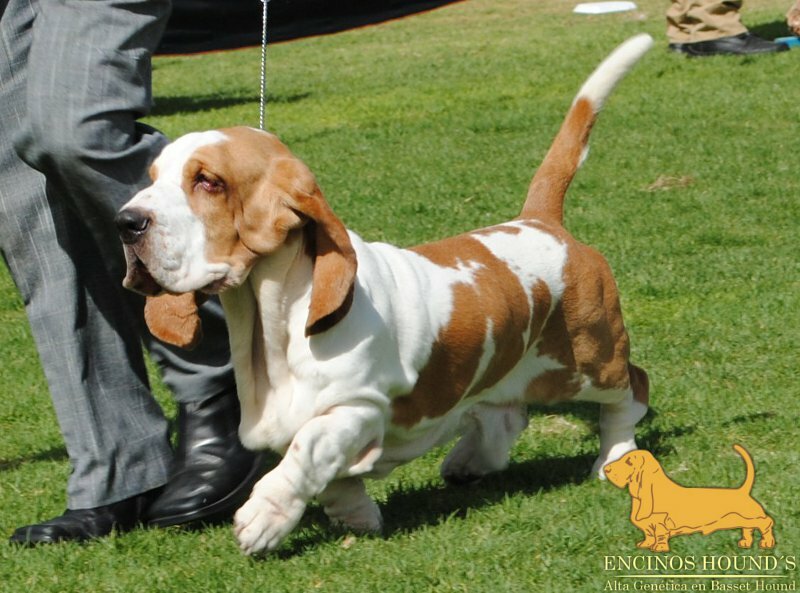 Barney was Excellent, the Swedish judge (also Cruft's judge) loved him, he called him "Star Quality Basset"
All the other dogs at the group were from abroad, the competition was very strong. 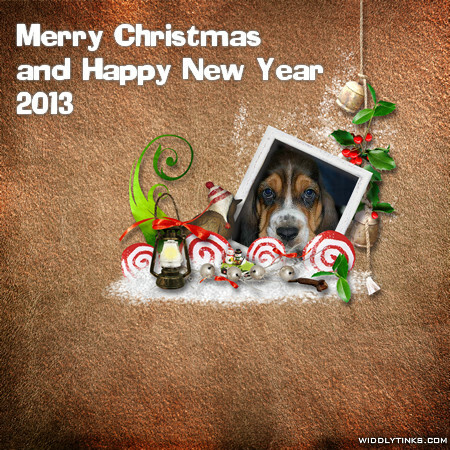 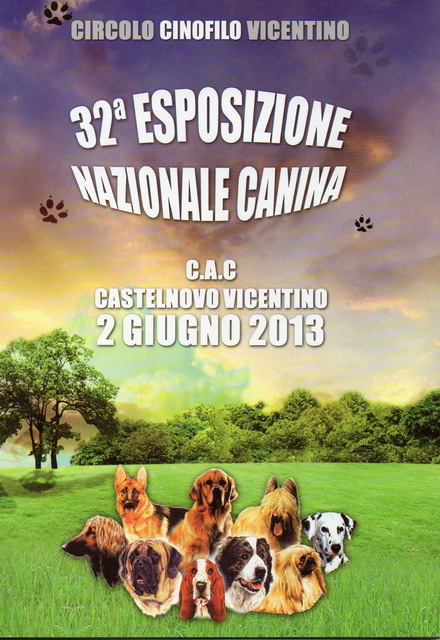 BY CAC --> BY CH. 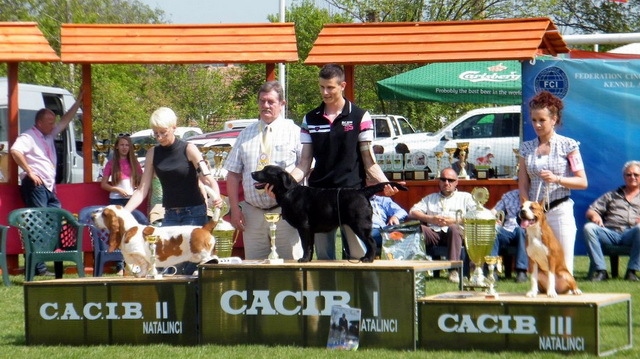 Ieri alla Mostra Nazionale di Lodi ha Sbancato ha Vinto tutto quello che c"era da Vincere C.A.C e il BOB. 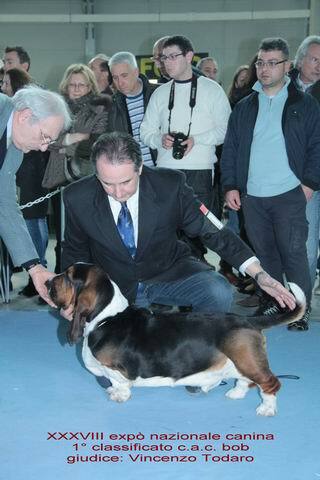 Judge : Mr. J de Abreu Marques. 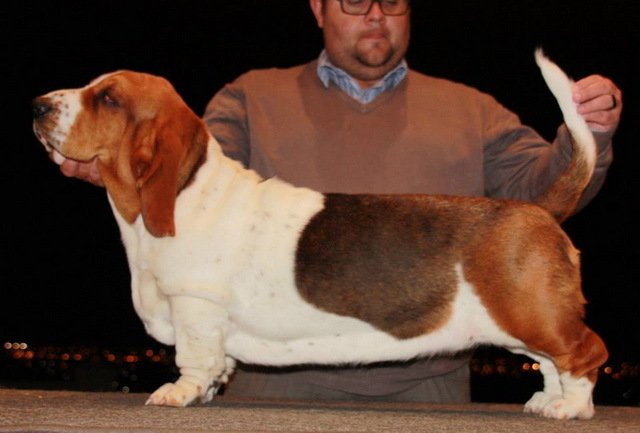 her first stack in South Africa. 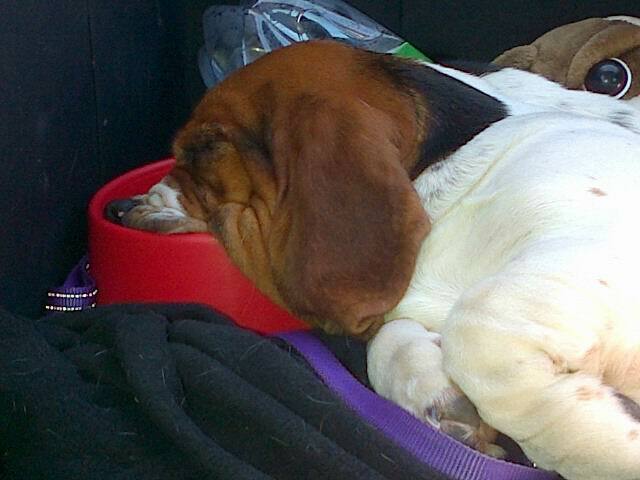 Soooo tired! 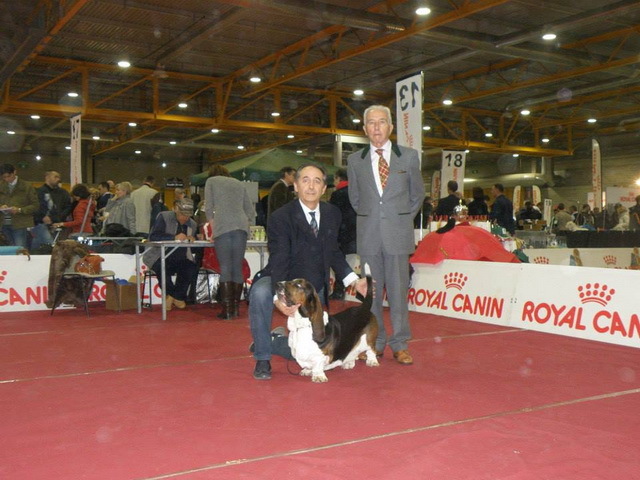 Thank you very much, Flash Moravia Bray affectionately called "Dibeji" is a boy excellent temperament, besides having so many qualities as typicality, back straight, head perfect, strong bones and a front that impresses by its perfection!